Hydrabad : Younger brother of actor turned politicians Chiranjeevi, the maga hero of Tollywood Pawan Kalyan, whose mass appeal helped the BJP in the general elections, did not stop at that. 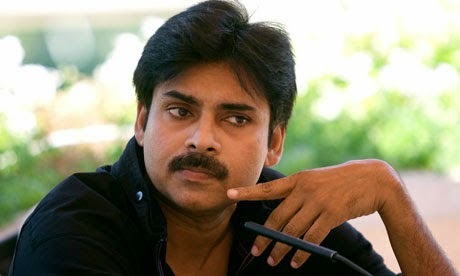 He reminded of its obligation to fulfil the promises made for development of Andhra Pradesh through Twitter on Monday. “Now the time has come to stand by that promise. I hope the BJP will not let down the aspirations of people who believed and supported them,” Pawan Kalyan tweeted on his official page on Monday, triggering a fresh debate on his future course of action. His remarks come in the wake of the recent sanction by the Central government of a financial package of Rs. 800 crore for north coastal Andhra and Rayalaseema, which was described as ‘too little, too late’ by critics who included a section of Telugu Desam Party. Pawan Kalyan pointed out that the ‘BJP agreed to grant special status to the bifurcated State of A.P as it would be the affected region’ hinting at its responsibility to extend a helping hand to the fledgling State. BJP State general secretary J. Syam Kishore welcomed the tweets by Pawan Kalyan, saying that he was a well-wisher of the BJP and there was nothing wrong in his serving a reminder about the party’s commitments to A.P. He insisted that the upcoming Union Budget would deliver a host of promises that were made at the time of bifurcation.